OAKLAND, Calif. -- A man accused of killing seven people in a shooting rampage at Oakland's Oikos University in 2012 will have a competency hearing next month after doctors at Napa State Hospital said for the first time that they now think he's mentally competent to stand trial. One Goh, 46, is charged with seven counts of murder, three counts of premeditated attempted murder and the special circumstance allegations of committing a murder during a kidnapping and committing multiple murders for the shooting at Oikos on April 2, 2012. A judge ruled on Jan. 7, 2013, that Goh, a Korean national, was incompetent to stand trial, citing reports by two psychiatrists who examined him. He has been treated at Napa State Hospital for more than two and a half years. Until now, doctors who've examined Goh have said in seven reports that they believe he's mentally incompetent to stand trial. 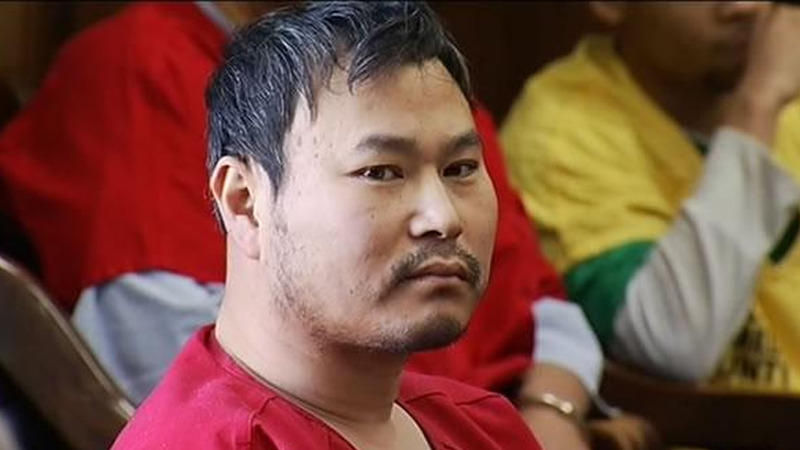 But in their most recent report, which was discussed at a hearing in Alameda County Superior Court on Monday, Napa State Hospital doctors now say they think Goh is competent to stand trial. However, Goh's attorney Assistant Public Defender David Klaus thinks that Goh is still incompetent to stand trial so a hearing on his competency has been scheduled for Nov. 6. If Goh is found to be competent, a trial on the charges against him could be held in the near future. But if Goh continues to be found to be mentally incompetent, he will be permanently placed at a mental institution such as Napa State Hospital. Goh is a former student who had voluntarily left Oikos University, a Christian vocational school at 7850 Edgewater Drive, near Oakland International Airport. Prosecutors have said he appears to have wanted a refund of his tuition and may have been targeting an administrator who was not present on the day of the shooting. Oakland police said Goh fled the Oikos campus after the shooting in a car belonging to one of the victims but was arrested in Alameda a short time later after he confessed to a Safeway security guard that he had just shot several people. Killed in the shooting at Oikos were students Lydia Sim, 21, Sonam Choedon, 33, Grace Kim, 23, Doris Chibuko, 40, Judith Seymour, 53, and shering Bhutia, 38, as well as Katleen Ping, 24, who worked at the school. According to Klaus, Goh suffers from paranoid schizophrenia and depression and may also be autistic. Klaus said Goh has been suicidal at times and staff members at Napa State Hospital force him to take medication.